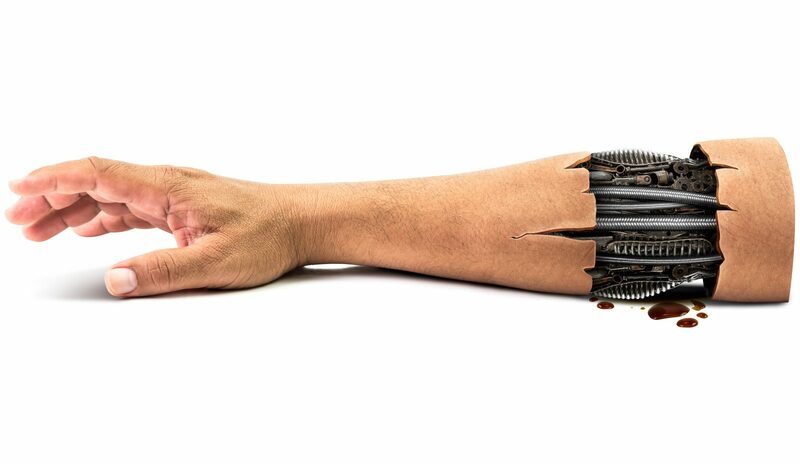 Robots wearing 3D Bioprinted Skin? Yup. You heard that right. Alright alright we admit this does sound pretty creepy, 3D Bioprinted skin on a robot sounds like something out of a scifi movie. According to scientist at Oxford University, this looks like the future for robots. No more metal creatures out of Star Wars with lights flashing. Robots will eventually absolutely look like humans. It’s hard to say now how much can be done with 3D Bioprinting at the moment, but we definitely believe there is a bright future. Right now, you have to grow human transplants in a stationary environment. That’s more than a little dangerous when they could buckle under the stresses of a real body. Oxford University may have a clever (if slightly ghastly) solution to that problem: have robots wear the tissue first. If you grow muscles on humanoid robots, the movement and overall shape of those machines would lead to grafts and transplants that are ready for serious strain. Naturally, this robotic conditioning would be most useful for higher-quality transplants. You could even personalize transplants by modifying the robot to reflect a patient’s anatomy. However, the Oxford team sees other uses. It could reduce the use of animal testing in pre-clinical trials, and could even represent a step toward “biohybrid humanoids” that combine real tissue with mechanical systems. We’re not so sure people are looking forward to that last part (it sounds like the background for a Terminator movie), but the discovery is great news overall for burn victims and others who need transplants. Instead of waiting weeks for replacements to grow on their own bodies, they could have doctors print transplants that get a robotic shakedown in a much shorter time. The capabilities of 3D Bioprinting are endless. Read this article below to see the possibilities behind the future of robots using 3D Bioprinting.